The American Foreign Service Association, established in 1924, is both professional association and exclusive representative for the U.S. Foreign Service. AFSA’s close to 16,800 members include active-duty and retired Foreign Service officers and specialists at the Department of State, as well as members of the Foreign Service from the U.S. Agency for International Development, Foreign Agricultural Service, Foreign Commercial Service, Animal and Plant Health Inspection Service and U.S. Agency for Global Media. AFSA is both the principal advocate for the long-term institutional wellbeing of the professional career Foreign Service and responsible for safeguarding the interests of AFSA members. AFSA also seeks to increase understanding among the American people about the vital role of the U.S. Foreign Service in sustaining American global leadership. AFSA exists to support the United States Foreign Service, which deploys worldwide to protect and serve America’s people, interests and values. The Foreign Service is the only U.S. government entity that is globally deployed with an enduring physical presence in almost every country in the world, creating an enormous competitive advantage for America and for Americans from all walks of life. Nearly 80 percent of active-duty members of the Foreign Service choose to join AFSA, the voice of the Foreign Service. AFSA’s members are career professionals who volunteer to live and work abroad for roughly two-thirds of their careers—usually serving abroad with their families, but sometimes unable to—representing America to the people and leaders of other countries. Members of the Foreign Service are posted to more than 270 U.S. embassies, consulates and other missions that are scattered across the globe—most in difficult and many in dangerous environments. We welcome all current and retired members of the Foreign Service at our member agencies. In addition, spouses and partners of deceased members of the Foreign Service may join AFSA at a special rate. Finally, we welcome anyone with an interest in the Foreign Service and foreign affairs as associate members of AFSA. Click here to join. 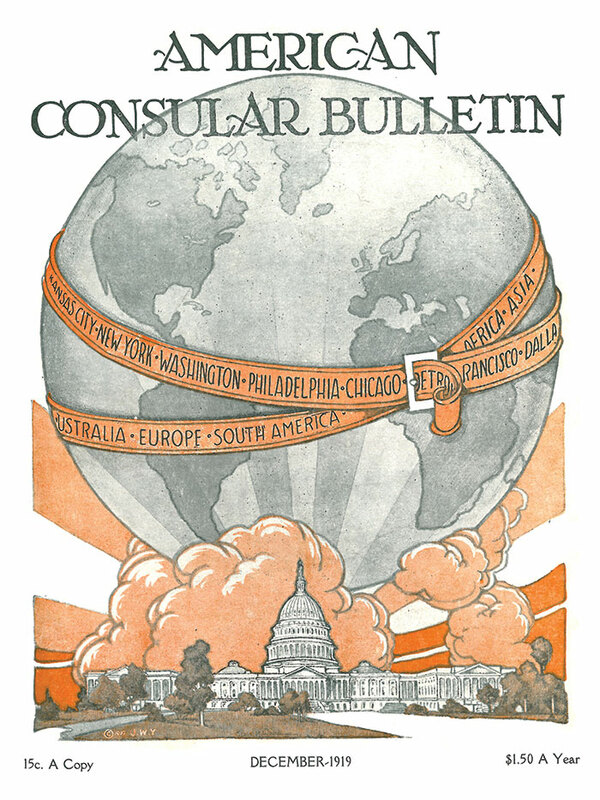 In 1918, the American Consular Association was founded to represent the interests of the members of the Consular Corps. In 1924, the Consular Corps was combined with the Diplomatic Corps to form the Foreign Service of the United States. In the same year, the Consular Association reconstituted itself as the American Foreign Service Association. AFSA was founded "for the purpose of fostering an esprit de corps" among the members of the Foreign Service and has served as a professional association for Foreign Service employees in the Department of State, later in the Agency for International Development and the United States Information Agency and more recently, the Departments of Commerce and Agriculture. Even during these early years, the Association published The Foreign Service Journal, sponsored a wide variety of speakers from all walks of diplomatic and professional life, and commissioned studies on professional problems and future prospects of the Foreign Service. 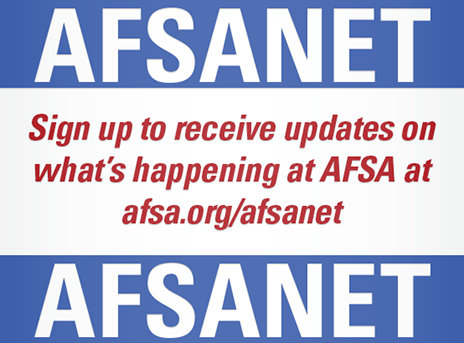 Over the years AFSA has expanded its services to members, adding special insurance programs tailored to the needs of the Foreign Service, a Scholarship Program for Foreign Service dependents, a speakers bureau and additional member benefits. In 1968, with the purchase of the property on the corner of 21st and E Streets, adjacent to the State Department, the Association moved its business offices to this address and opened the Foreign Service Club for AFSA members (now closed). After a series of executive orders signed by President Nixon gave progressively greater rights to federal employee organizations that wished to engage in collective bargaining, AFSA's board and members began to grapple with the issue of becoming a trade union. In 1971, the Governing Board polled the members in a referendum and 86 percent urged AFSA to seek exclusive recognition as a union. AFSA filed a representation petition in May 1972, and the battle for exclusive recognition was begun when the American Federation of Government Employees (AFGE) filed a month later. An election was conducted, and AFSA won overwhelming majorities in State and AID, and a narrow majority in USIA. After a long period in which they were represented by AFGE, USIA Foreign Service employees reestablished AFSA as their exclusive representative in an election held in the fall of 1992. The next year, at the request of Foreign Agricultural Service and Foreign Commercial Service employees, AFSA began a successful campaign to be named the exclusive representative for those two agencies. In 2013, AFSA was selected as the exclusive representative for Foreign Service employees at the Animal and Plant Health Inspection Service (APHIS). AFSA's labor-management role was affirmed with the passage of the Foreign Service Act of 1980, which incorporated many important reforms urged by the Association. The negotiation of regulations implementing the Act's hundreds of provisions, and the monitoring of regulations already agreed upon, is an important component of AFSA's role as employee representative.